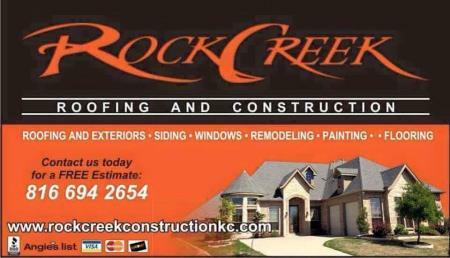 Rock Creek Roofing and Construction has been in business for over 15 years. We are licensed, insured, and bonded. We are endorsed by Angie’s List, Home Advisor, and Go Smith. We are proudly rated A+ with the BBB.